Reflection on the gospel reading: Today’s gospel reading follows immediately upon the raising of Lazarus in Bethany, a short walk from Jerusalem, and it prepares us to enter into the mysteries of Holy Week. News of what Jesus has done is traveling fast, and many believe in him as the result of the signs he works. Today’s gospel is full of ironic statements where the actors say something at a basic level that is filled with a deeper meaning. Rather than dare to dream that something wonderful is happening here, the Sanhedrin meets to raise the complaint, “What are we going to do? This man is performing many signs. If we leave him alone, all will believe in him, and the Romans will come and take away both our land and our nation.” The irony, of course, is that everything that frightened them actually did occur within just a few decades. Caiaphas, the high priest, plots Jesus’ death saying that it is better that one man should die than let the nation perish, but the evangelist is aware that Caiaphas’ banal statement has a much deeper meaning, that Jesus dies for his people and in a still deeper way, Jesus dies for all people everywhere in all time. Jesus senses the depth of the threat that faces him, so he goes away to a remote place to remain secure until the hour is ready. 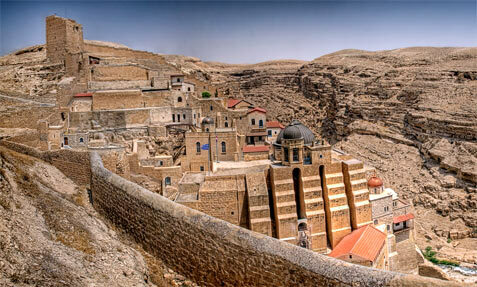 The picture of the arid land fixed in today’s gospel reading is where our Lord went to await his hour. The scene now is set to enter into Holy Week. The Jews picked up rocks to stone Jesus. Jesus answered them, “I have shown you many good works from my Father. For which of these are you trying to stone me?” The Jews answered him, “We are not stoning you for a good work but for blasphemy. 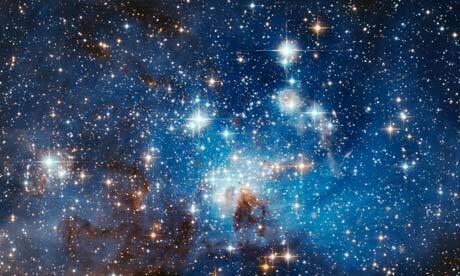 You, a man, are making yourself God.” Jesus answered them, “Is it not written in your law, ‘I said, You are gods”‘? If it calls them gods to whom the word of God came, and Scripture cannot be set aside, can you say that the one whom the Father has consecrated and sent into the world blasphemes because I said, ‘I am the Son of God’? 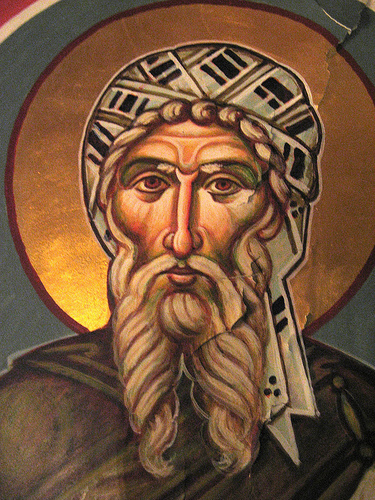 If I do not perform my Father’s works, do not believe me; but if I perform them, even if you do not believe me, believe the works, so that you may realize and understand that the Father is in me and I am in the Father.” Then they tried again to arrest him; but he escaped from their power. Reflection on the gospel reading: In today’s reading, we have a contrast between those who refuse to recognize the power of God that works in Jesus and those who understand that something unprecedented indeed is at work in the man. The ones who are privileged in their social context refuse to look beyond their narrow categories to see the signs that God gives, but the ones who enjoy less privilege, the ones who live beyond the Jordan, do not have rigid categories that attempt to put God in a box. This latter group consults its experiences and says, “Something is true here that was not true elsewhere.” It is these ones who have the freedom to believe in Jesus. 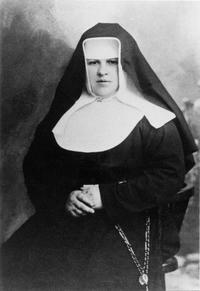 Saint of the day: Maria Restituta was born on May 1, 1894 in Husovice, Austria-Hungary (present-day Czech Republic). She grew up to become a nun and a nurse. Her birth name was Helen Kafka. She was a shoemaker’s daughter. When she was two years old, she came with her family to Vienna, then the Austro-Hungarian Empire’s capital, and home to a Czech migrant community, among whom she grew up. She first worked as an assistant caregiver at the Lainz public hospital. At 19, she joined the “Hartmann Sisters.” It was at this time that she adopted the name Maria Restituta, naming herself after Restituta, a 4th-century Christian martyr. After the First World War, she began working as a nurse at the Mödling hospital, eventually becoming the leading surgical nurse. Even the Mödling hospital was not spared the effects of Anschluss in 1938. Sister Restituta, however, insisted on refusing to take down crucifixes which she had hung up in a new wing that had been built onto the hospital. This little act of defiance along with two of her writings that were critical of the regime led to her doom. She was denounced by a doctor who fanatically supported the Nazis and was arrested on Ash Wednesday in 1942 by the Gestapo right after coming out of the operating theater. On October 29, 1942 she was sentenced to death by the guillotine by the Volksgerichtshof for “favoring the enemy and conspiracy to commit high treason.” She was beheaded on March 30, 1943 at 48-years-old. 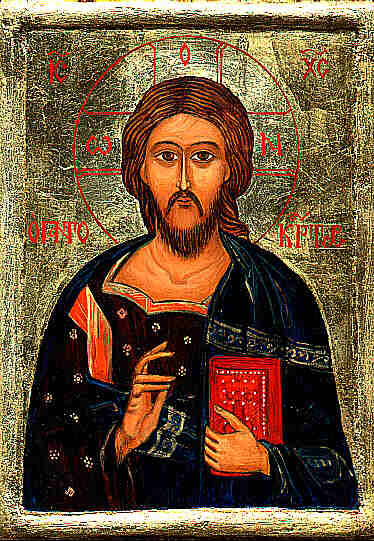 Reflection on the gospel reading: In John’s theology, Jesus is the Word of the Father. The Prologue of John’s gospel calls Jesus “the Word,” and observes that the Word is pressed right up alongside God, and the Word itself is God. This term, “word,” is used twice in today’s passage, and there are clear ties between this passage and the Prologue. 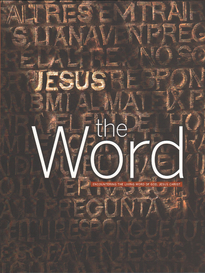 In today’s reading, which continues the exploration of Jesus’ identity, Jesus talks about the benefits to those who keep Jesus’ “word,” that is, Jesus’ instruction. Jesus says such persons will never see death. Why will this happen? Because Jesus, this passage tells us, knows the Father and keeps the Father’s word. Expressed in another way, Jesus has received instructions directly from God that Jesus, in turn, transmits to us, and this instruction, because it comes from God, leads to life: Jesus expresses what is on the Father’s mind–he is precisely the Father’s word to us. Here, as in the Prologue, a very powerful claim is made concerning who Jesus is. 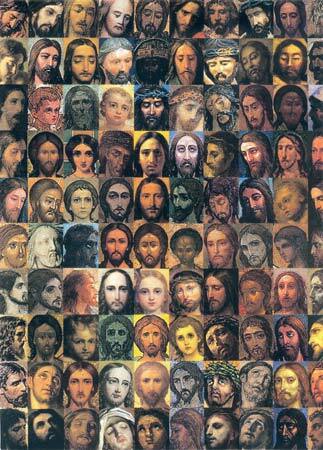 Jesus uses the term “I AM” to characterize his identity. As we saw several days ago, the term, “I AM” is how the Jews understood God to describe Godself to Moses, and Jesus uses it here to explain his relationship to Abraham, who “came to be.” The Prologue similarly distinguishes the Word from “all that came to be.” In this passage, “came to be” again appears and once again distinguishes Jesus, the Word, from what is created. This is a powerful passage in John’s explanation of Jesus’ identity, and it leaves little room to understand Jesus as anything but divine. 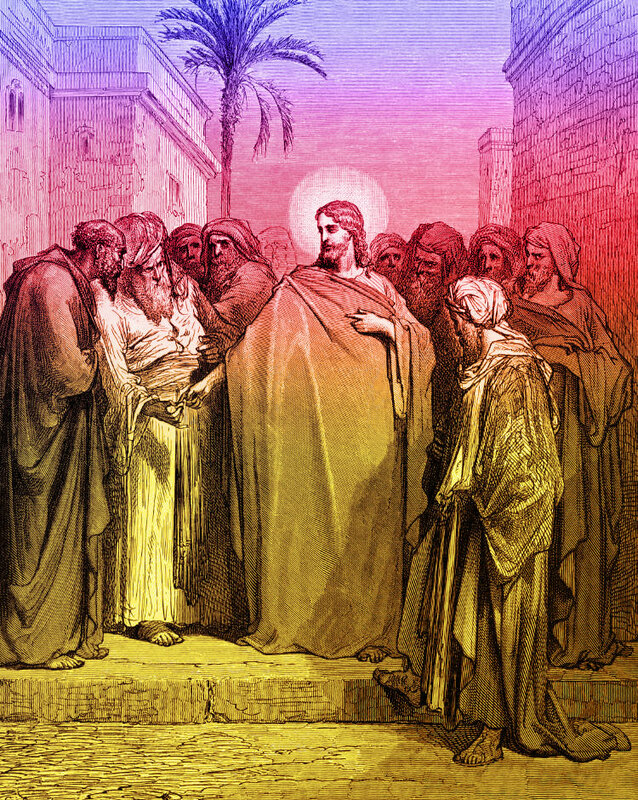 Reflection on the gospel reading: In today’s gospel, Jesus dares us to undertake a journey, and the invitation is the deepest meaning of our Lenten renewal. Jesus says, “If God were your father, you would love me, for I came from God.” To see Jesus more clearly, follow him more nearly, and love him more dearly is the path into the presence of the Lord of Spirits and Flesh, and since that Lord has fashioned us like garments to fit the pattern of the Lord’s own form, it is in Jesus and only with Jesus that can realize who we are. 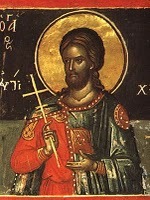 Saint of the day: Hesychius (pronounced HESH-us) of Jerusalem lived in the fourth and fifth centuries. Not only is the name of today’s saint a bit hard to pronounce and spell, it’s also difficult to learn about such a modest and gentle man who is better known in the Russian Orthodox Church than he is in western Christianity. The birth date of Hesychius is unclear, but we know that he was a priest and monk who wrote a history of the Church, unfortunately lost. He also wrote about many of the burning issues of his day. 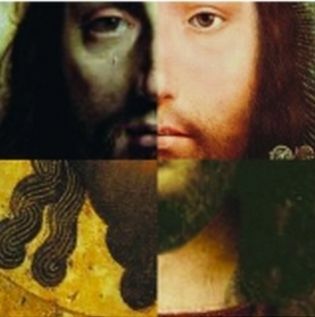 These included the heresy of Nestorianism, which held that there were two separate persons in Jesus—one human, one divine—and the heresy of Arianism, which denied the divinity of Christ. Some of his commentaries on the books of the Bible as well, along with meditations on the prophets and homilies on the Blessed Virgin Mary, still survive. It’s believed Hesychius delivered Easter homilies in the basilica in Jerusalem thought to be the place of the crucifixion. His words on the Eucharist, written centuries ago, speak to us today: “Keep yourselves free from sin so that every day you may share in the mystic meal; by doing so our bodies become the body of Christ.” Hesychius died around the year 450. 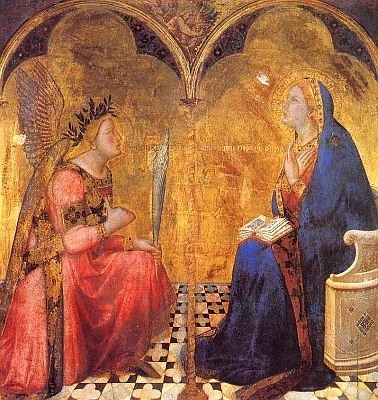 Reflection on the gospel reading: I often have reflected over the years that the Church might have done well to call this feast we celebrate today, “the Feast of the Incarnation,” and not that of the Annunciation. In a way, this feast is a greater occasion than Christmas and perhaps only second to the events of Holy Week and Easter. 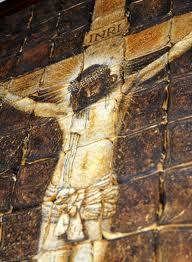 In fact, the feast we celebrate today makes Christmas, Holy Week, and Easter the mysteries that they are. The child would not have been born if he had not first been conceived. 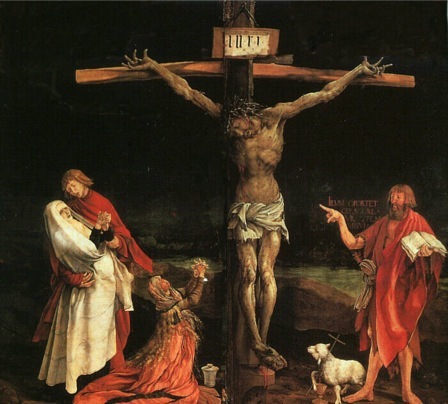 The infinite meaning of his suffering, death, and resurrection results from the fact that God threw God’s own life into God’s creation, that God, as the Greek in the Prologue of John so evocatively describes it, pitched his tent among us. Some Greeks who had come to worship at the Passover Feast came to Philip, who was from Bethsaida in Galilee, and asked him, “Sir, we would like to see Jesus.” Philip went and told Andrew; then Andrew and Philip went and told Jesus. Jesus answered them, “The hour has come for the Son of Man to be glorified. 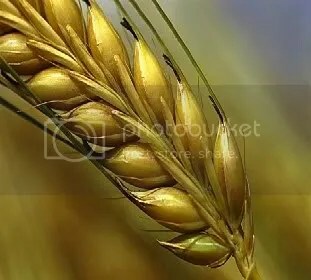 Amen, amen, I say to you, unless a grain of wheat falls to the ground and dies, it remains just a grain of wheat; but if it dies, it produces much fruit. “I am troubled now. Yet what should I say? ‘Father, save me from this hour’? But it was for this purpose that I came to this hour. 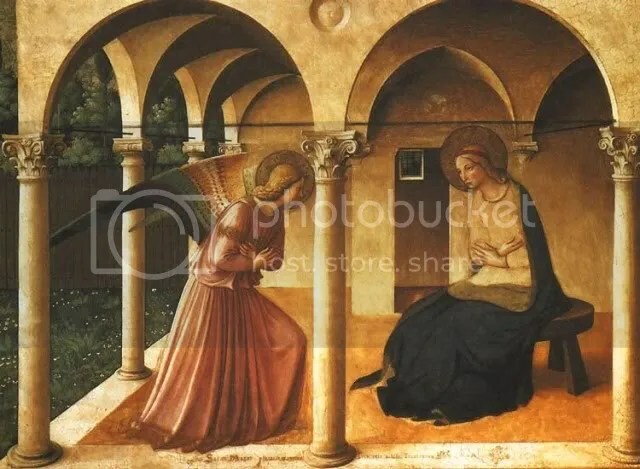 Father, glorify your name.” Then a voice came from heaven, “I have glorified it and will glorify it again.” The crowd there heard it and said it was thunder; but others said, “An angel has spoken to him.” Jesus answered and said, “This voice did not come for my sake but for yours. Now is the time of judgment on this world; now the ruler of this world will be driven out. And when I am lifted up from the earth, I will draw everyone to myself.” He said this indicating the kind of death he would die. Reflection on the gospel reading: In today’s gospel, the controversy about Jesus’ identity that has dominated the readings this week continues. What Jesus does and what Jesus says make many believe that he is the messiah, but some raise the objection that Jesus is a Galilean, either ignorant or inattentive to the facts that, as Matthew and Luke make clear, Jesus was from David’s line, born in Bethlehem of Judea. Each of us labors under a burden of bias. Our biases are not entirely bad; they help us to navigate common experiences without a lot of reflection. But sometimes, we are so stuck in our stories that we are unable to accept new data that challenges the way we have conceptualized something. We, too, like the Pharisees can be so convinced that we know who Jesus is that we are unable to move beyond our stories to embrace new evidence. 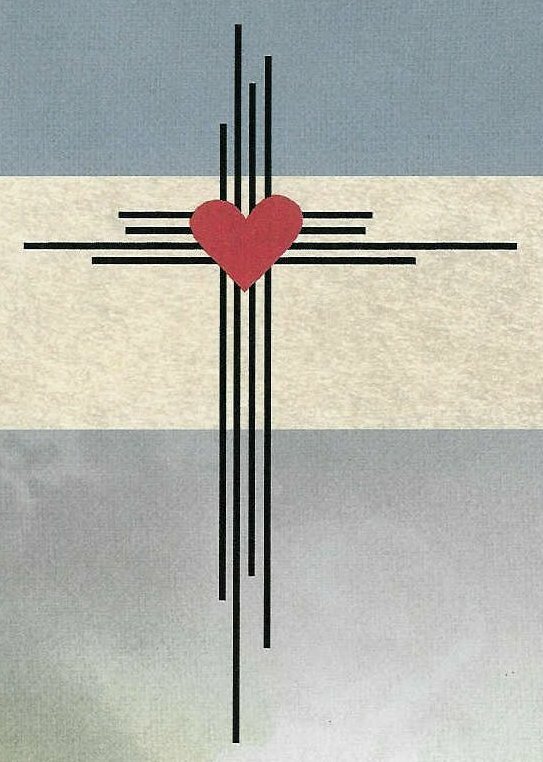 For this reason, we need to pray to be open to the movements of the Spirit, the evidence of the scriptures, and experiences we encounter as members of our parish communities, for the evidence of Jesus as Jesus is in all these things. 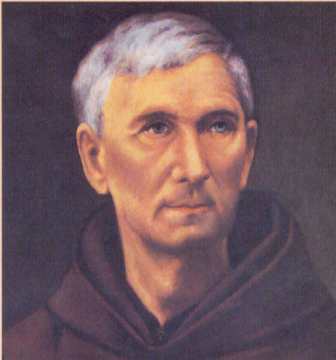 Saint of the day: Born in 1801 in Cadiz, Spain, and christened Joseph Francis, he spent much of his free time as a youth around the Capuchin friars and their church. But his desire to enter the Franciscan Order was delayed because of the difficulty he had with his studies. Finally he was admitted to the novitiate of the Capuchins in Seville as Brother Didacus. He later was ordained a priest and sent out to preach. His gift of preaching was soon evident. He journeyed tirelessly through the territory of Andalusia of Spain, speaking in small towns and crowded cities. His words were able to touch the minds and hearts of young and old, rich and poor, students and professors. His work in the confessional completed the conversions his words began. It is said that sometimes when he preached on the love of God he would be elevated above the pulpit. Crowds in village and town squares were entranced by his words and would attempt to tear off pieces of his habit as he passed by. He died in 1801 at age 58, a holy and revered man. He was beatified in 1894. This day is the 32nd anniversary of the assassination of Archbishop Oscar Romero. The Eucharist commemorates the Last Supper of Jesus, the meal where Jesus instituted that breaking of the bread and that sharing of the cup that became the Divine Liturgy of the Orthodox, the Communion of the Protestants, and the Mass of the Catholics. And it was at Mass, 30 years ago today on March 24, 1980, that an assassin murdered Oscar Romero at precisely that moment in the liturgy where the priest offered his gifts, the bread, the wine, and on that day, unexpectedly, himself, to God. When the bishops of El Salvador recommended that this sober scholar, this apparent nebbish, this “pastor to his paperwork,” become a bishop, they had no expectation of the ferocious voice they would unleash against the crisis that engulfed El Salvador. Indeed, for years after that appointment, his fellow bishops heard nothing from their brother more threatening than the turning pages of his breviary. In February 1977, Romero became the Archbishop of San Salvador. Shortly afterward, his friend, the first priest Romero had ordained, was murdered at the government’s hands, assassinated for his service of the poor. A crowd of 100,000 drew together in a square in shock and horror to mourn the death of Romero’s friend, the dead priest servant of the poor. To the crowd, Romero gave a vow. Whoever touches one of my priests, is touching me. And they will have to deal with me! Oh! that lamb did start to roar. This is the mission entrusted to the church, a hard mission: to uproot sins from history, to uproot sins from the political order, to uproot sins from the economy, to uproot sins wherever they are. The shadow on the wall became Amos in the court of the king, a voice of radical unfettered self-forgetting concern for the lot of the least, the despised, the disdained, the rejected. We must not seek the child Jesus in the pretty figures of our Christmas cribs. We must seek him among the undernourished children who have gone to bed at night with nothing to eat, among the poor newsboys who will sleep covered with newspapers in doorways. That the government found his voice a taunt, a nuisance, and a scourge was not lost on Romero. While it is clear that our Church has been the victim of persecution during the last three years, it is even more important to observe the reason for the persecution . . . The persecution comes about because of the Church’s defense of the poor, for assuming the destiny of the poor. Brothers, you came from our own people. You are killing your own brothers. Any human order to kill must be subordinate to the law of God, which says, “Thou shalt not kill.” No soldier is obliged to obey an order contrary to the law of God. No one has to obey an immoral law. It is high time you obeyed your consciences rather than sinful orders. The church cannot remain silent before such an abomination . . . . In the name of God, in the name of this suffering people whose cry rises to heaven more loudly each day, I implore you, I beg you, I order you: stop the repression. The next day, Oscar Romero was dead. A 1992 United Nations Commission that investigated his murder observed about that day 32 years ago today, “On Monday, 24 March 1980, the Archbishop of San Salvador, Monsignor Oscar Arnulfo Romero y Galdamez, was celebrating mass in the Chapel of the Hospital de la Divina Providencia when he was killed by a professional assassin who fired a single .22 or .223 calibre bullet from a red, four door Volkswagen vehicle. 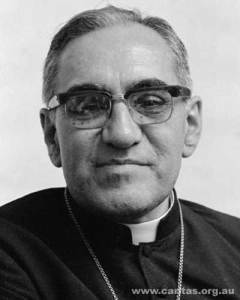 The bullet hit its mark, causing the Archbishop’s death from severe bleeding.” Yet the bullet that killed Romero did not silence his voice. I do not believe in death without resurrection. If they kill me, I will be resurrected in the Salvadoran people. His people to this day labor to recover from the horrors they endured. The sister of someone I know once served as a Catholic lay worker in El Salvador. I once spoke to this friend about Romero’s legacy. She told me that her sister had observed Romero’s continuing presence among the people. There is a certain mass grave the people were digging up to remove the massacred to proper places of burial. 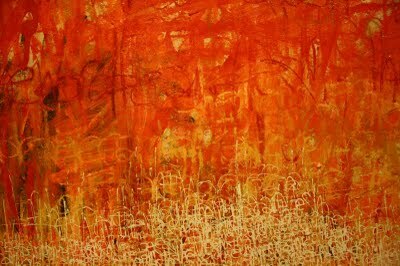 The horror in that mass grave unleashed an immense pathos; as an expression of their grief, the people painted a mural on a wall above the grave. At the center of that mural stands the image of Oscar Romero, his enormous arms reaching out, bending around, enfolding in an embrace the murdered of that grave, who lay these years anonymously in that place. Reflection on the gospel reading: Today’s gospel goes to the question of who Jesus is. All of us who spend our time reflecting on this question recognize that the person of Jesus creates confusion for many people. 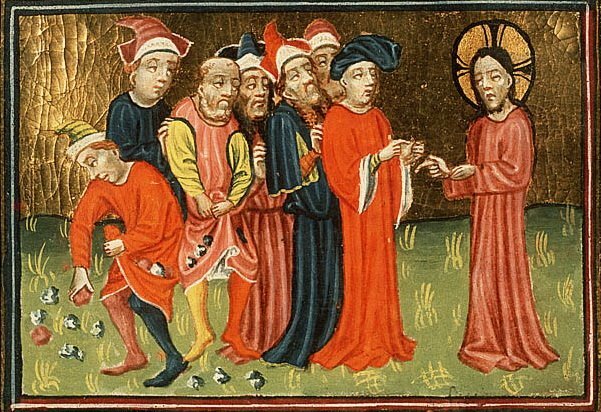 In today’s gospel, for instance, the people know that their religious leaders seek to arrest and kill Jesus, yet they see that Jesus freely goes where he will and says what he wants. 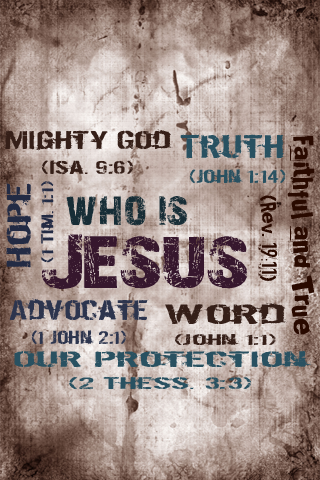 It is this speaking by Jesus, his telling the truth, that defines for us who Jesus is. We Christians believe that Jesus is the Word of God; Jesus would not be Jesus if he not to speak and if he did not speak the truth. What is the truth that Jesus speaks? In today’s gospel, Jesus says, “I know him, because I am from him, and he sent me.” The truth makes many people who hear him uncomfortable. Jesus causes his listeners to become angry because he says he knows God and came from God, but the gospel tells us they could not arrest him. God had a plan, and Jesus’ time was not yet. In this time of Lent, Jesus invites us to renew our attention to this question of who it is whom we serve. 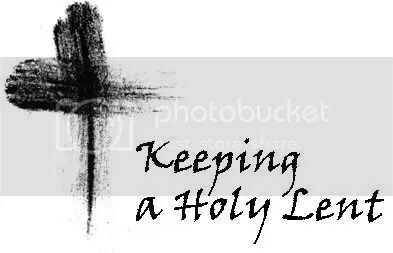 Jesus invites us to pray in Lent that we may enter ever more deeply into a knowledge and love of the very image of the Father in whose name we have been baptized. Saint of the day: Toribio Alfonso de Mogrovejo was bishop and defender of the rights of the native Indians in Peru, Born in Spain in 1538, he studied law and became a lawyer and then professor at Salamanca, receiving appointment-despite being a layman-as chief judge of the court of Inquisition at Granada under King Philip II of Spain. The king subsequently appointed him in 1580 to the post of archbishop of Lima, Peru. 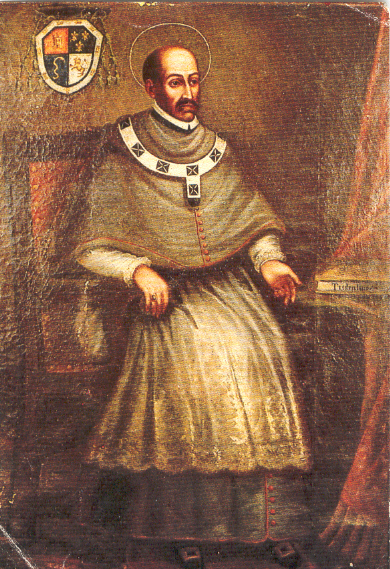 After receiving ordination and then consecration, he arrived in Peru in 1581 and soon demonstrated a deep zeal to reform the archdiocese and a determination to do all in his power to aid the poor and defend the rights of the Indians who were then suffering severely under Spanish occupation. He founded schools, churches, hospitals, and the first seminary in the New World. To assist his pastoral work among the Indians, he also mastered several Indian dialects. He died on May 23, 1606 at Santa, Peru of natural causes. He is the patron saint of native rights.